Mini double stitched bags are 7 1/2" X 6 1/2" and hold 5 cups. 100% satisfaction guaranteed. Made in the USA from the highest quality mesh fabric for extra smooth, sediment free tea. Great for bulk herbs. 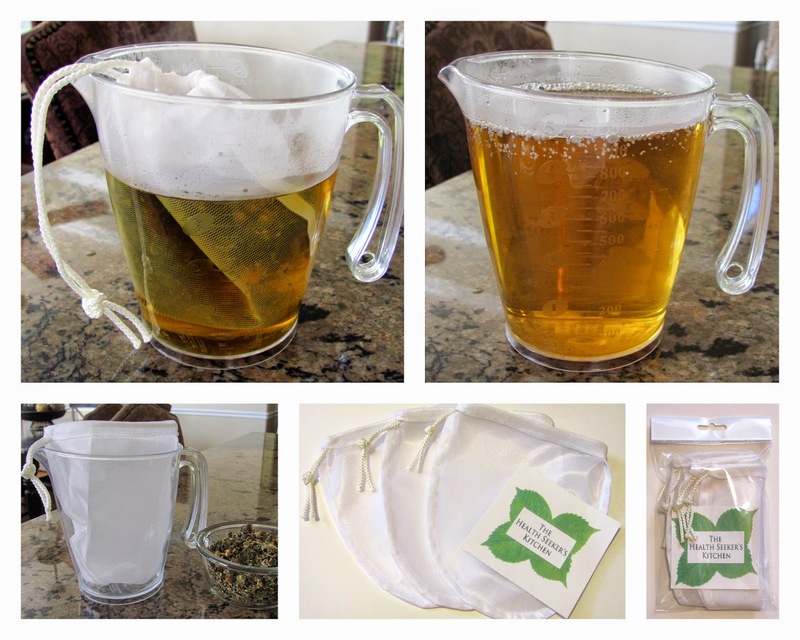 Use for making medicinal and other tea recipes. Easy to use and quick cleaning. Herbs do not stick to bag. Great for infusing bath herbs, bath salts or in cooking. $7.95 ( for 1-3 packages of 3) Purchase on Amazon if order less than 4 packages. 4 or more purchase below for 1 price shipping on all size orders. For 4 or more packages order below ($7.95 each) Shipping is the same for any amount you order.